Incombo, good to start the day with, good throughout the day! Selected ingredients with exceptional nutritious qualities make this bread a treasure in modern baking culture. Spelt, quinoa, chia and amaranth, linseed and soy meal and no less than three sources of protein from sunflower seeds, pumpkin seeds and wheat protein – Incombo brings new life to the power of ancient crops and offers you a piece of vitality every day. Low carbohydrate, but rich in protein and with a high fiber content, it reaches modern demands and it’s a valuable contribution to a balanced and conscious diet. Richly aromatic, enriched with many delicious seeds and a hearty, crispy crust – a bread to be savored. 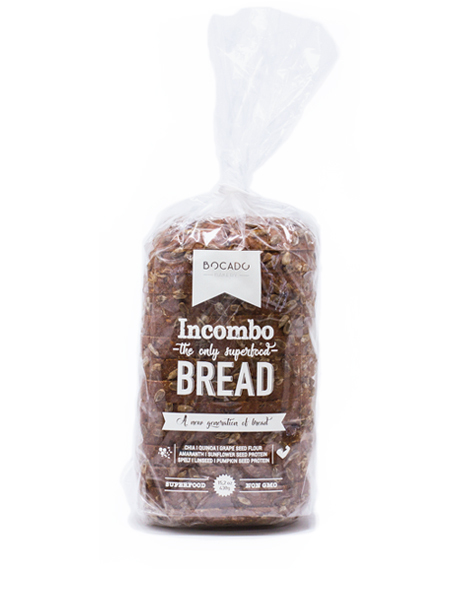 Incombo is pure bread delight!